Welcome.us, a nonprofit dedicated to celebrating a United States fueled by diversity, launched a new campaign today called "I Am An Immigrant" (IAAI) in celebration of Immigrant Heritage Month. The program, which features video profiles with celebrities, aims to raise awareness and encourage individuals to explore their own heritage and stand in solidarity with new Americans. Welcome.us started Immigration Heritage Month in 2013 as a way to partner with other organizations to compile and capture the different voices of immigrants through images and videos. This year's program features portraits taken by "Beasts of No Nation" director Cary Fukunaga, the son of a third-generation Japanese-American father, Anthony Shuzo Fukunaga, who was born in a Japanese incarceration camp during World War II. Previous campaigns have featured interviews with actor Harry Shum Jr., who spoke about his experience of being Chinese and born in Costa Rica, and Rep. Mike Honda, who shared his story of growing up as third-generation Japanese American in California. Tony Choi, a social media manager for Soze, an organization partnering with Welcome.us, helped produce and gather stories for the campaign. His activism is inspired by his own immigration narrative. Choi came to America from Seoul, South Korea, at the age of nine and has lived in the country for 18 years. He is an undocumented immigrant with deferred action status under the Deferred Action for Childhood Arrivals program. "Back then, it was an economically tumultuous time in Korea and my family had lost everything," Choi told NBC News. "When we first came to America, we came to Hawaii to join my grandmother's cousins. Because my parents didn't see a way for our family to rebuild what we had in Korea, we really had nothing to our name except the clothes on our back." Adjusting to life in Hawaii was difficult, Choi said, and he had a hard time learning English. Eventually, his family moved to New Jersey. "My mom worked long hours as a waitress and my sister essentially brought me up," Choi said. "It was through her that I saw what was possible for me. She went through the struggles of not being able to go to college because of her immigration status and I got to see before my own eyes how she couldn't do a lot of things that her peers were doing, like driving." In high school, Choi was well aware he was undocumented and that his future was uncertain. In his senior year, he applied for private colleges because they were the only ones that could provide him with financial aid. Out of all the 11 schools he applied to, Berea College in Berea, Kentucky, accepted him. "I felt very isolated," Choi said. "I went from an environment where almost a quarter of the population were Asian Americans and immigrants, and people who knew what it meant to have those identities with them." The same year Choi started college, his mother was diagnosed with breast cancer, but because of their status, they did not have proper access to healthcare. "Little by little, I started thinking and asking myself 'how can I change the world I live in? '," Choi said. "How can I make it so that other people don't have to go through the same struggles that my sister and I did? I started telling people at college my story and back then I didn't know what that was — but I was community organizing." 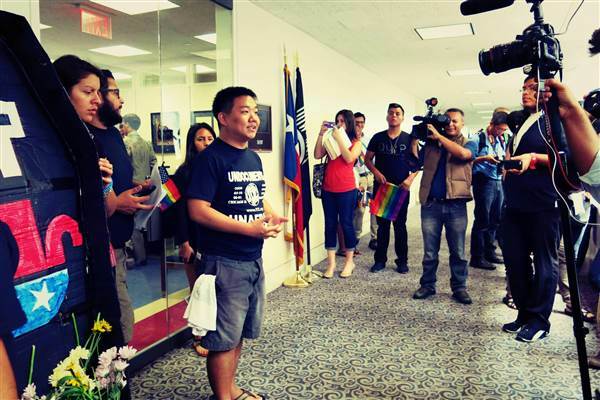 In 2010, when the DREAM Act failed, it fueled Choi to step up even more and continue telling his story. He became more proactive in his community and on social media. "I wasn't going to take no for an answer," Choi said. "I wanted people to really know what my struggle as an undocumented immigrant was and how that is very much linked to who I am as a person." 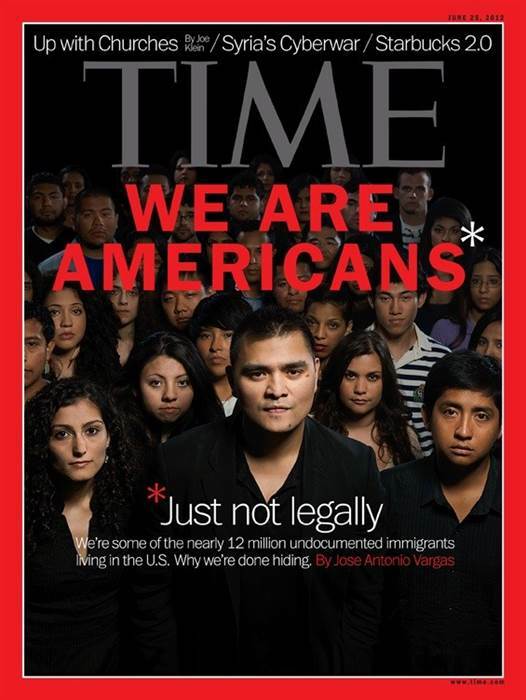 Because of the work Choi was doing, journalist Jose Antonio Vargas reached out to him in 2012 to participate in a TIME magazine cover where he gathered undocumented immigrants together for a group picture. A 2012 Time magazine cover featured undocumented immigrants living in the U.S. Shortly after, President Barack Obama announced the Deferred Action for Childhood Arrivals program, which enabled Choi to work as a full-time organizer at the MinKwon Center for Community Action as well as at his current company, Soze, where he also runs the Sons and Brother account, which covers issues related to immigration and access to healthcare. By having the opportunity to partner with Welcome.us, Choi believes it further progresses the work he is doing to get immigrant voices heard. Although he does not always like speaking publicly about his status, Choi said he does it to shatter the silence. "It's a dream to get immigrants to recognize their heritage and feel pride in their being in this country," Choi said. "Your identity as an immigrant is something that is important to you, no matter who you are."